You don't need to know how to code to use this tool. Need to make a website, but lack any web page building knowledge? No problem! Page Builder Pro will help you create a professional, mobile and SEO-friendly website with absolutely no prior programming knowledge. And it's currently on sale for 94 per cent off the $745 MSRP for just $39. 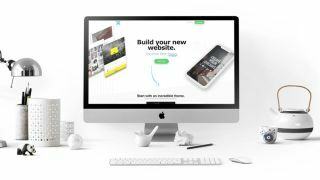 Want to start a site for your business? Dreaming of becoming a blogger? No matter the reason, Page Builder will help you attain your website building dreams. It comes complete with tons of themes to make sure your site is customised to your liking, and you can pick from hundreds of their pre-designed elements to make your site interactive and engaging – including features for selling products. And all of the themes are both friendly for mobile surfing and SEO purposes. Already have some HTML skills? Don't worry, Page Builder also lets you create things from scratch if you're in more of a DIY mood. Get this lifetime subscription to Page Builder Pro today for just $39.